Using Facebook as a marketing tool is much more than just creating campaigns and sponsoring ads. Finding proper information to conduct good audience research is one thing. Creating the perfect audience for maximum ROI (return on investment) is yet another obstacle. What about allocating given budget by hastily switching campaigns with A/B testing? Now it sounds complicated, right? Well, it’s nothing compared to what professional marketers do in order to achieve good results every day. Despite what you may have heard, attracting new customers can be a hard thing to achieve in digital marketing nowadays. Often, unpredictable results occur, and we can’t blame anyone for it. Here’s a perfect example. Customers today quickly begin to understand the message, just by having a glance at ads. Often, this invokes boredom, the customer becoming less and less interested in the product or service, potentially losing them in the end. So, to avoid this and other negative examples of digital advertising, let’s do our homework first, then start acting on it. The following tactics will increase your chances of success, finally getting the loyal audience your business deserves. Having a group of 50.000+ members constantly discussing, sharing, buying and selling products or services is a terrific marketing idea. Think of these 50.000+ members as potential customers. Better yet, think of them as the voice of your business, finding new customers for you. Imagine the marketing possibilities of running a group this large, as your target audience. By using your town’s historical landmarks, famous people and events, and other significant factors, you can promote your business in many ways. 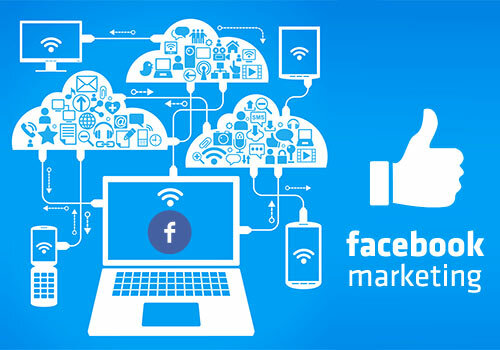 You can also use your Facebook fan page to share content from official institutions and organizations, thus letting customers know where your business is actually located. Don’t forget the discounts and special offers during the town’s official holidays. Part of the whole ‘gaining a loyal audience’ plan requires you to increase the level of intimacy between your company and the audience. Posting and tagging pictures of your team at conventions, presentations, or even team building events, is great for your company’s reputation. Customers will come to understand how your team works and start identifying themselves with your brand. Contests are a great way of getting great exposure on Facebook as participants will basically take care of the whole thing. All you have to do is start a well-planned contest and target the right audience with detailed interests. However, before you start any contests, it’s important that you read the following tip. Namely, Facebook requires for each fan page owner to pay close attention to their community standards. Breaking these rules will be disastrous to your company’s overall marketing strategy and might even get your business banned from this social network. Facebook allows you to create company-related events, share them on your page and invite all friends and fans to RSVP. Another good idea is to advertise some of these events to reach more audience and brand ambassadors. Invite hundreds of people, make sure they know the place events will take place, and share it until many people come. Don’t forget to enter the right keywords and leave a link to the tickets website, if you’re planning on selling tickets. Kindly asking your customers to leave reviews about the experience they’ve had using your product/service is a great way of letting others know that you offer quality. Also, you can use these reviews to create posts and let potential customers hear of your good reputation. Remember, reviews are a powerful tool and may help generate higher quality leads. Last, but not least, you can opt to collaborate with similar companies and get mentioned in some of their posts, for bigger exposure. Make sure your official page looks as neat and authentic as possible because new visitors are less likely to interact with it if they find it unattractive.